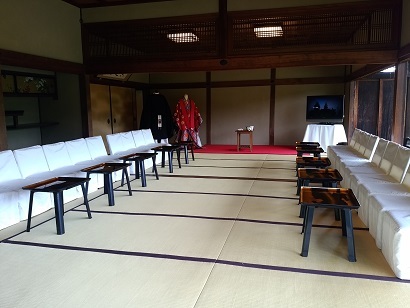 Yesterday, we held a wedding consultancy meeting at Nijo Castle. We appreciate that so many bride and groom-to-be joined the meeting. Chairs and tables are prepared for the guests of the wedding. They will be served with Matcha (=green tea) and sweets in traditional Japanese way while enjoying live “koto” music. 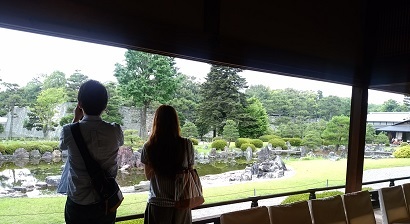 This beautiful view of Seiryu-en garden is available only for the couples who have their wedding at Nijo Castle. They seemed to have felt solemn yet gorgeous atmosphere of the wedding at Nijo Castle. 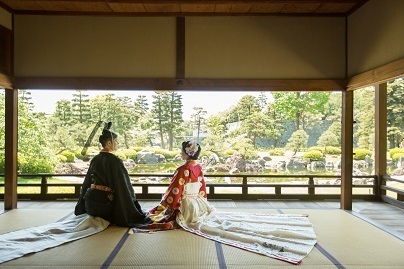 We plan next wedding consultancy meeting at Nijo Castle end of July. Please come and visit us if you are interested.